NYC’s annual Winter Jazzfest will return in 2016 from January 13 – 17 at various venues. The initial lineup includes Bill Laswell, Brandon Seabrook Powerplant, Nels Cline, Colin Stetson, Dawn of Midi, Jose James, Kaki King, Kamasi Washington, Matana Roberts, Sarah Neufeld, The Ex and more. 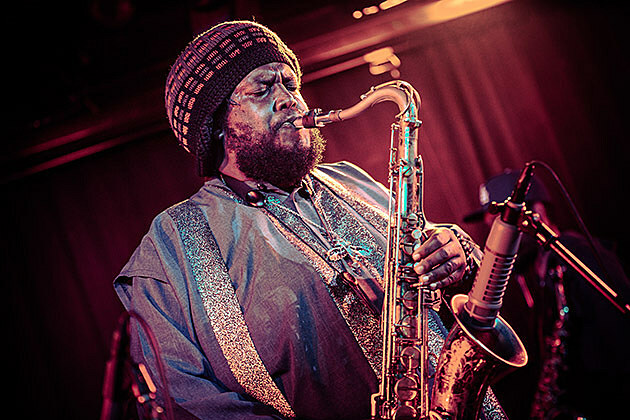 The Kamasi Washington show is the previously-announced Webster Hall show (1/14) (tickets) and The Ex, Bill Laswell, Colin Stetson and Happy Apple all play together at LPR on 1/13 (tickets). Full schedule is still TBA. Festival passes are on sale now. Kaki King also plays NYC tonight (10/26).